Earl Miller is a very smart man. So smart, in fact, that the Massachusetts Institute of Technology (MIT), one of the most prestigious institutions of higher education in the world, has given Mr. Miller his own lab to conduct research on the brain. 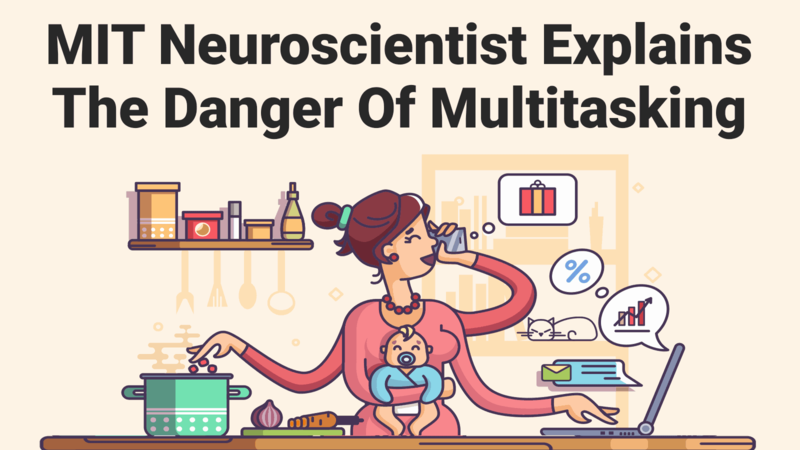 One of Miller’s primary research interests is the effect of multitasking on the human brain – and he’s discovered (along with many others) that multitasking is a (very) bad habit. We’re going to dig a bit deeper into his research a bit later. Multitasking can take place when someone tries to perform two tasks simultaneously, switch from one task to another, or perform two or more tasks in rapid succession. Some quick examples: when applying for a job, one of the requirements is often “the ability to multitask”; at home, we try to manage five different responsibilities at once; when driving, we’ll talk and/or text (!) on the phone…and on and on. Multitasking doesn’t work. It doesn’t work because it can’t work. It can’t work because our brains don’t work that way. Got all that? Miller, along with other neuroscientists, explain that the brain’s attention capacity is limited. The reason: the brain is an energy-hungry organ, and we can only consume and expend so much. Interesting tidbit: the human brain uses more energy than any other organ, accounting for over one-fifth of the body’s total energy consumption. Like gas in a car, when our “brain fuel” is out, it’s out. Multitasking expedites the rate at which the brain expends energy, kind of like how “flooring it” in a car wastes fuel. Miller calls this energy expenditure the brain’s “switching cost.” Fortunately, this is one mechanism of the brain that can be mitigated. We can manage some of our brain’s energy. Part of Miller’s research on multitasking is what he calls the “Digital Divide,” or the effect of digital devices relative to multitasking. His work in this area has actually led to the creation of a Today Show series bearing the same name. Professor Miller explains this maladaptation via the natural evolution of the brain. In ancient times, human beings were required to adapt quickly to sudden changes in the environment, thus “…it was adaptive for out and pay attention to new information.” However, today, “sudden changes in the environment” often mean new emails, text messages or Facebook updates. What about people who contradict science and think they’re actually good at multitasking? Well, Miller says that you’re probably the worst at it. – First, block out periods of time during the day to focus. – Second, eliminate all distractions from the environment. Stash the phone away, turn the computer off, shut down email and instant messaging, for example. 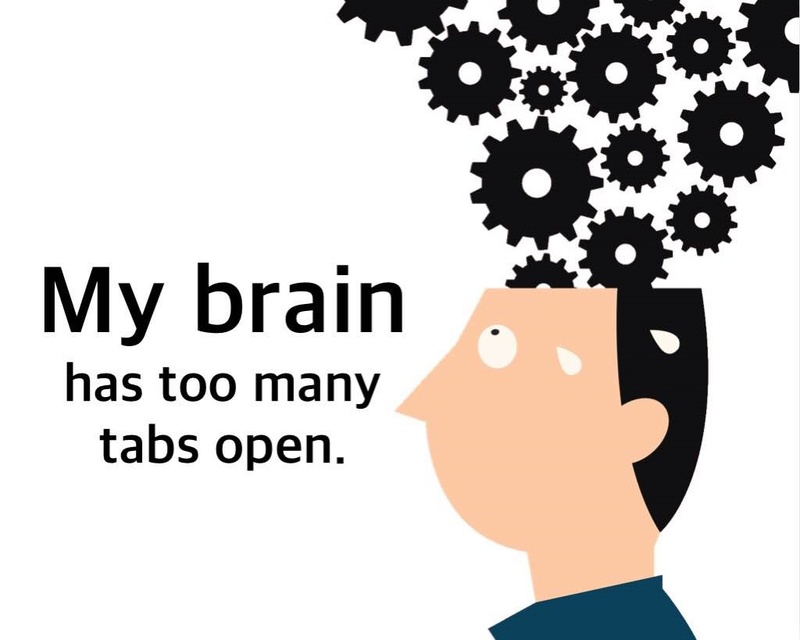 Other recommendations: avoid multitasking completely and focus on one (and only one!) thing at a time. When we “single-task,” the brain is less prone to make mistakes and we’re likely to be much more productive.